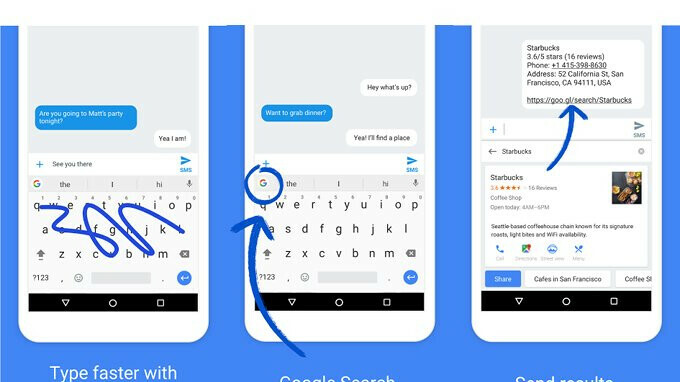 Google has just released a new version of its Gboard keyboard app for Android devices. As expected, the latest update brings support for new languages, but the new app comes with a few new features and improvements as well. Firstly, Google has added support for 16 new languages: Ahirani, Bahamianese, Kannauji, Fijian, Gagauz, Halbi, Karakalpak, Kanuri, Komi, Moksha, Pangasinan, Sango, Veps, Võro, Wagdi, and Zeeuws. Also, Gboard now allows users to make their own GIFs using the phone's camera, and immediately share them with their friends. Moreover, the update adds a sticker gallery that contains more than 500 new stickers. It's also worth mentioning that those who use the beta version of Gboard app are getting a little tweak for the US English keyboard, which will add autospace after punctuation. If you don't use the beta though, you won't be getting this change yet. Whoops! Keyboards has become something else. And STILL no ability to completely disable that annoying top bar for those who don't use text prediction.